Potomac Horse Fever has been confirmed in a horse in Davidson County, TN. Caused by a bacteria that is carried by freshwater snails, PHF can causes fever, diarrhea and colic; it can be deadly. It is not transmitted between horses. 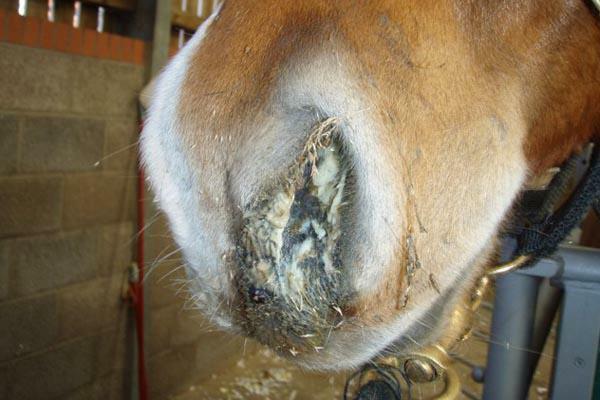 Strangles was also confirmed in four horses at a private facility in Shelby County, Tenn. A contagious infection of the respiratory tract, it causes lymph nodes of the head and neck to swell, potentially leading to coughing, airway obstruction and death. The horses in Shelby County are under voluntary quarantine and are improving. Tennessee State Veterinarian Dr. Charles Hatcher urges horse owners to contact their veterinarian if signs of illness are seen; talking with veterinarians about vaccination and prevention protocol is also important to help prevent disease. This entry was posted in Horse Care and tagged PHF, potomac horse fever lymph nodes, quarantine, Shelby County, strangles, Tennessee by Paulick Report Staff. Bookmark the permalink.